Are you curious about the many uses and benefits of herbal medicines and remedies? If so, you are not alone. Many people are turning to alternative medicine to help them with their ailments, discomfort and diseases. The use of these remedies are gaining popularity in the western world. Natural medicine has been used for countless years to assist humanity in the healing process. There are countless herbal remedies known to help whatever is ailing. One of the herbal remedies that people use today is called Kombucha. 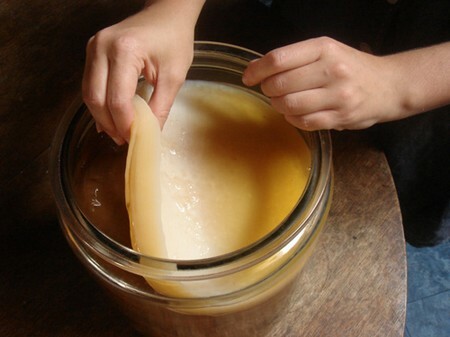 Kombucha is a culture derived from tea and is easy to grow. Kombucha is said to be Russian in origin and assists the liver in detoxifying the body. The Japanese call it kelp tea and it has a history of helping to cure an Emperor’s illness named Ingyo. Kombucha is fermented tea and can be made easily. You can choose your favorite tea to go along with making your culture. Here is how you can make your own Kombucha drops in 8 or more days. Purchase Kombucha. Be sure to keep your Kombucha refrigerated. This is important. Choose the tea you want to use for fermentation. Some people prefer green, black, oolong or white teas. Either tea will work. Add 1 ¼ cups of sugar to 4 cups boiling water. Stir the sugar in until dissolved. Leave no traces of sugar granules. Add two of three of the tea bags that you chose. Steep the tea for at least 15 minutes. Pour the entire solution into a large glass jar. Add the Kombucha culture to the jar along with 1 ¼ cup of vinegar. Cover the solution with a cloth that will allow air to flow into the jar. Place the jar in a warm area for 8-15 days depending on how potent you need the culture to be. 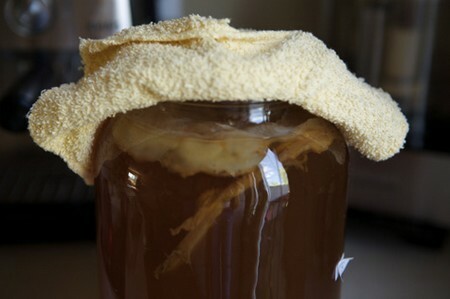 Remove to Kombucha culture and place it in a plastic container. Refrigerate the culture. Use the culture to make another batch of the Kombucha liquid. Follow the same steps as mentioned above. Strain the liquid left. Use a dropper to transfer the liquid into a clean container. Refrigerate to stop the fermentation from processing. You can preserve the liquid with no refrigeration. Do this by adding 35% or higher concentration alcohol to the mixture. Store the drops in a dark container with a dropper. To administer place the drops under the tongue.